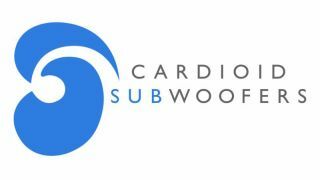 The What: Fulcrum Acoustic has launched its latest technology-driven product line: Cardioid Subwoofers. Fulcrum Cardioid Subwoofers are designed with patent-pending Passive Cardioid Technology to overcome the excessive rear low-frequency (LF) radiation that is a major challenge of many loudspeakers. The What Else: Fulcrum's Passive Cardioid Technology, first introduced in their FL283 and FLS115 line array products, is now the basis for a line of Cardioid Subwoofers, which includes CS118 18-inch and CS121 21-inch models. Fulcrum speakers' subcardioid behavior is produced by a meticulously conceived acoustical circuit that balances the position of the low-frequency driver, the enclosure depth and volume, and specially constructed rear-mounted ports, which include a calibrated resistive element. By opting for a subcardioid pattern as opposed to a pure, hyper, or super-cardioid pattern, the rear rejection increases when the modules are deployed in an array. “Passive Cardioid Technology evolved from listening to our customers' needs and directing our efforts toward satisfying those needs,” said Fulcrum co-founder and lead product designer David Gunness. “We see this technology as potentially game changing for the pro audio industry, and as something we will continue to develop into new applications going forward." The Bottom Line: Fulcrum's unique Cardioid Subwoofers eliminate excessive rear LF radiation without the extra cost, space requirements, and inconvenience of active cardioid systems, with a single passive cardioid speaker doing the work of an active cardioid array. By achieving impressive LF directional control without additional amplifiers, drivers or signal processors in less than half the space required for active cardioid array systems, Fulcrum Cardioid Subwoofers allow for cardioid arrays in applications that might not otherwise have the budget or space to accommodate an active cardioid solution.